The Ten Network have announced the first reshuffle to its much talked about news programming strategy for 2011 and beyond. 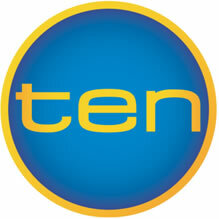 The axe has fallen on the 6:30PM local evening news with Ten instead opting for the strong Ten News at Five brand being extended until 6:30PM. Current 6:30 news hosts around the country will fall back into the Ten news roster, whilst Sandra Sully will resume her traditional hosting of the Late News, and Kath Robinson will return to the 6am Ten News. What does this mean for George Negus’ 6PM program? Dead in the water? Thank god the answer is no! The program will now take up the 6:30PM slot against the current affair shows on Seven and Nine. As David Knox of TV Tonight wrote today with “audiences jaded by that unseemly squabble [on the current affairs shows], there has never been a better time for 6pm With George Negus to make the leap to 6:30.” This move should provide a key point of difference for Negus to build a new audience. However is this the best strategy moving forward? What Ten needs is an iconic news program, one that can find more relevance and appeal against Seven and Nine’s strong 6PM news brands and the various news programs on the ABC. The ABC has Q&A which is an example of a new show that established a solid audience and water cooler discussion almost immediately after going to air (no doubt helped by the novel political situation at the moment!). The difficulty for Negus now at 6:30PM, is although there is a point of difference with his program, Today Tonight and A Current Affair are very strong brands and often grab the headlines in the press, days after a story has aired – just look at the controversy over the past week with the bullying saga that has now turned into a copyright claim – a claim that at first instance has legs – but that is another story. Back to Negus he also has another potential competitor at 6:30PM – SBS’s World News Australia. Whilst its audiences are not huge it does look at the news differently with an international focus, like Negus’ program. Therefore Negus should persuade Ten to allow him to build an iconic news brand – 10:30PM with George Negus. But that has already been done hasn’t it? Yes, 6PM is repeated at 10:30PM – and on a few occasions the later screening has rated higher than the first screening. But as noted by Dan Barrett on White Noise today the move should be permanent. I know that I am not home a lot of the time to catch Negus earlier in the evening – though I have been a consistent viewer at 10:30PM. By scheduling the program only at 10:30PM the content is fresh and a clear point of difference can be established and a loyal audience built. We must look overseas as to why this option moving forward is good strategy, principally to the BBC in Britain. The BBC News at 10PM is the BBC’s flagship news offering on terrestrial television and I know having lived in the UK it was nightly viewing rather than any 6pm offering. According to Mediaweek’s report of the UK ratings for the week ending 27 February 2011, BBC’s 10PM News averaged 5.7 million viewers across the week. According to the BBC’s website “the BBC’s main evening news bulletin has been delivering the major headlines of the day to the public for over 30 years.” Negus could do this at 10:30PM. Whilst audiences have been traditionally low in Australia after 9:30pm this is bound to change as working hours increase and we adapt to a more Asian timezone in our growing commerce with the north. Furthermore Negus has a very strong reporter roster on his side. Hugh Riminton who after working for Nine gained vast experience as a cable news stalwart at CNN. There is also respected Australian based reporter Max Futcher and Ten’s recently returned European correspondent Danielle Isdale. There is also Emma Dallimore based in the United States. The most valuable asset to the reporting team in my opinion would be Hamish MacDonald. The Australian’s profile continues to grow locally after he established himself as a formidable foreign correspondent and spot presenter on the Qatar based Al-Jazeera network – English service. The network has grown a strong reputation especially after its unique coverage of the recent political turmoil in Eygpt. MacDonald and Negus’ exchanges on the program have been priceless, the apprentice and the master. MacDonald is currently reporting from Libya and has brought youth and enthusiasm to the foreign correspondent role. The team is strong, the news angle is complementary and also fresh to Ten’s own offering and that of the other networks. However the program is better placed in the 10:30PM slot to allow the viewer to learn more about the days events from a different and more in depth perspective, as opposed to what they may have watched earlier in the evening. Ten has always been the network willing to play out on a ledge. Whilst today’s decision is a step back from its ambitious new strategy, they need to take another leap of faith and like the BBC establish a late night news brand that will become groundbreaking and iconic in Australia and leave Negus as a true icon of Australian TV news journalism – maybe this is a chance for Negus to recapture the glory days of when he was apart of the truly iconic 60 Minutes brand back in the 1980s. In any event let us hope that this time next year Negus’ program is still on air at Ten (in whatever timeslot) and the already established audience base has grown. For more follow on Twitter @frostglobal.